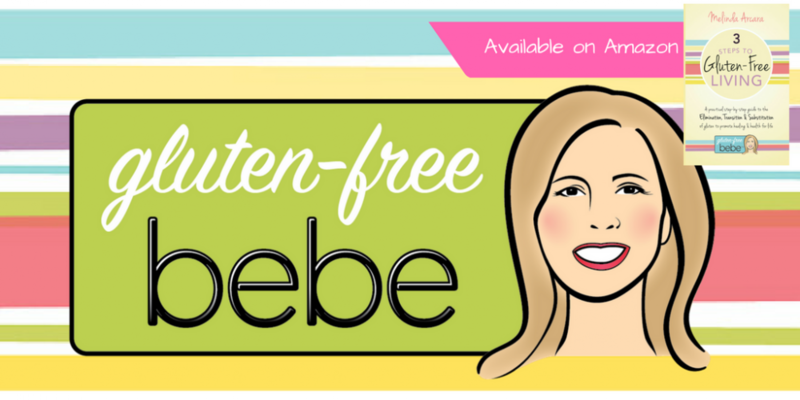 BIG things are happening here at Gluten-Free Bebe! I’ve been slow posting on my blog because I’ve been busy writing my book. Last November I began writing a step-by-step guide on how to go gluten-free after a student in one of my classes asked “Where do I begin” at the end of our 2 hour class. I realized what had been easy for me, since I was living it day by day, was completely overwhelming for people new to the gluten-free world. I decided to breakdown my 2 hour class into 3 easy to follow steps and create a workbook that people can carry with them through their daily routines. Each page is a step towards being gluten-free and allows the reader to keep notes about what works or doesn’t work in their daily lives. It’s the perfect book for anyone starting out in the gluten-free world. There is just enough information to get you on your way without overwhelming the reader with too many details. The book starts by explaining what to eliminate from your diet, how to read labels and where to find support. Then it shows how to transition your heart and home to new ways of eating and concludes with products to substitute back into your diet to stay gluten-free and feel better quickly. There are lists of products to buy, where to buy them, how to eat out, how to be prepared, how to prevent cross-contamination and much more! The book is called, 3 Steps to Gluten-Free Living and will be available in July through Amazon. Thank you for being patient and for supporting me on this blog. I’m passionate about making gluten-free eating simple and easy to follow. No cheating necessary! Please pop over to Facebook and “like” Gluten-Free Bebe for daily updates and more information on gluten-free living.